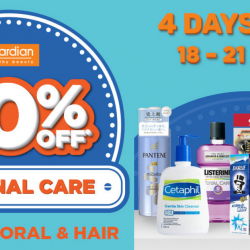 Home > Beauty, Wellness and Sports > Watsons: 11.11 Shopping Carnival – Enjoy 20% OFF Storewide or $11 OFF Online! 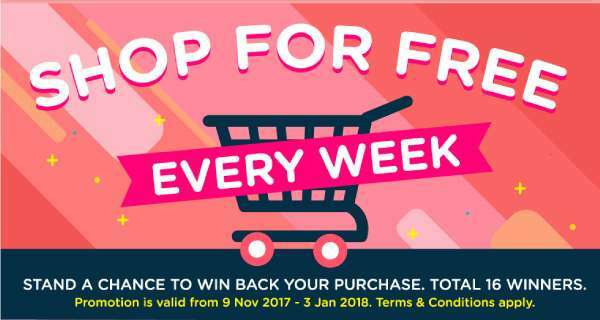 Till 15 Nov 2017 Watsons: 11.11 Shopping Carnival – Enjoy 20% OFF Storewide or $11 OFF Online! 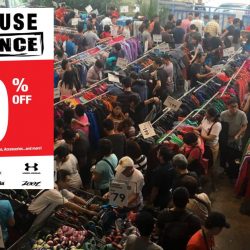 Enjoy STOREWIDE 20% OFF with min. $38 nett spend + 6% cash rebate with POSB Everyday card! Get ready to dash and catch the AWESOME deals at Watsons. 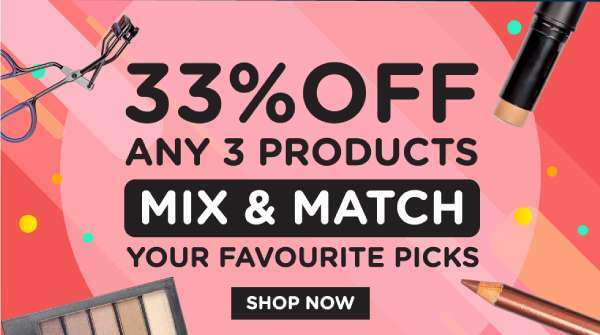 Head down to your nearest Watsons store or shop online at www.watsons.com.sg for this EPIC SALE! Promotion is valid till 14 Nov 2017. 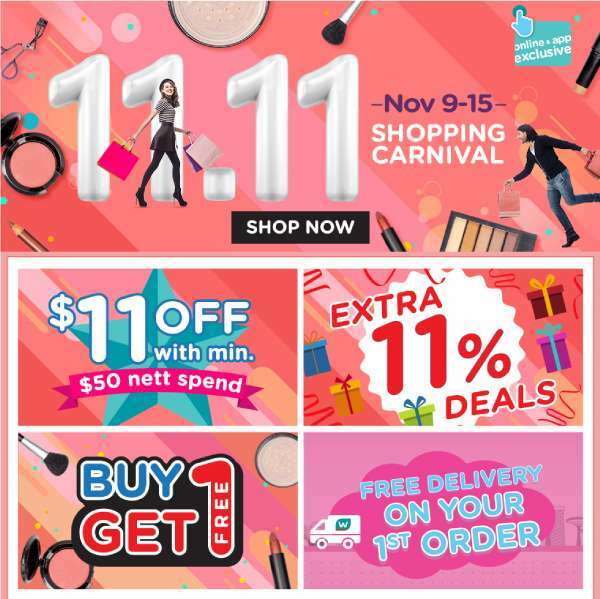 11.11 Shopping Carnival is also happening at Watsons Online Store with $11 off when you spend $50! Promotion is valid till 15 Nov 2017. 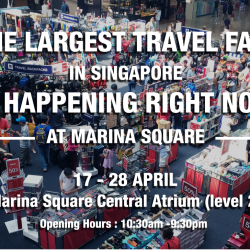 Conditions: Promotion is not applicable at all Changi Airport stores. 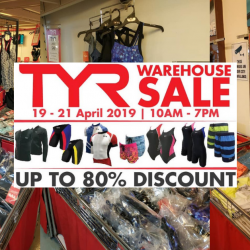 Only regular priced items and excludes purchase of promotional items, promo packsets, dispensary items, health tonics, pharmacist-service packages, baby & adult nutrition milk powder, confectionery, beverages, gift cards, Watsons card and $2 buys. While stocks last. Products featured are available at selected stores. Prices are subjected to change without prior notice.